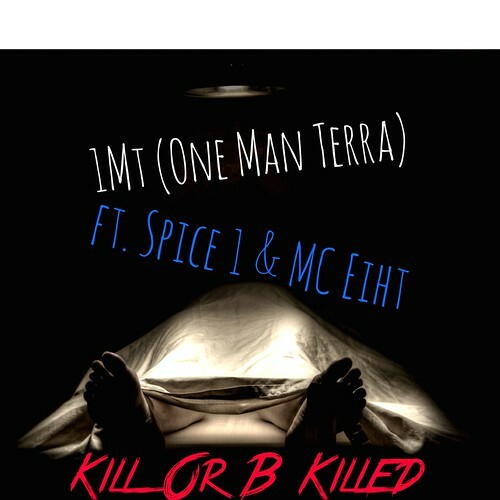 Produced By Ear2thabeat from the debut album Final Chapter/First Page, Staten Island’s 1Mt (One Man Terra) drops the single “Kill Or B Killed” featuring appearances from the East Bay Gangsta Spice 1 and Compton’s Most Wanted, MC Eiht. This entry was posted in Hip Hop and tagged 1Mt, California, Final Chapter/First Page, MC Eiht, NY, Spice 1. Bookmark the permalink.